c1932 This photographic print shows Stanmer House, Brighton. It is a view of the corner of the building, showing its front entrance. The path leading to the house can be seen in the foreground. The photograph was commissoned by the Borough Surveyor's department of Brighton Borough Council. It was amongst a number taken of the area which were presumably used to survey the condition of the buildings. 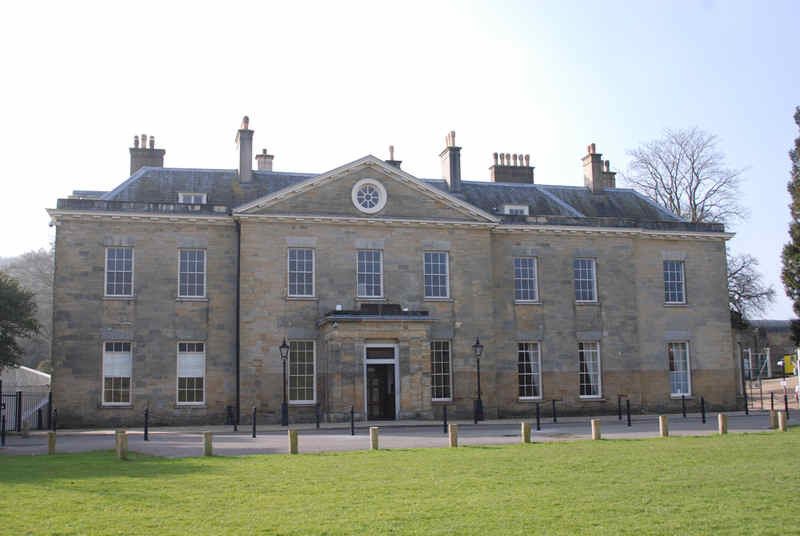 b) STANMER HOUSE: This elegant mansion is faced in a pale yellow sandstone and has a slight, three-bay projection topped by a pediment, but a single-bay extension of 1860 spoils the symmetry. It was built near the site of an older manor house in 1721-30 for Henry Pelham junior, in Palladian style by French architect Nicholas Dubois. 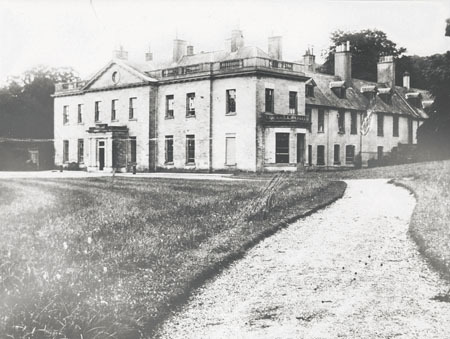 The Pelhams became the earls of Chichester and the house was extended in 1775 and 1860. The interior exhibits some excellent fireplaces and panelling, and has a magnificent broad oak staircase. In 1947 the house was purchased by the corporation as part of the Stanmer estate, and although the west wing was demolished as being beyond repair the rest of the house was restored and is now listed grade I. Until January 1980 the house was leased to the university as offices, but it was then opened to the public and occupied by squatters for three weeks. It is now planned to restore the house fully, and to remove both the Parks and Recreation Department and the Booth Museum to the building. I was told that initially the building stood somewhere else and was brought to the site and re-erected. Furthermore, as many of the sandstone blocks had weathered in its previous location, to keep the edges crisp, the builder decided to put the worn faces of the blocks pointing inwards. So in fact the building has actually been built inside out!